Ever since both of their inceptions, Neill Blomkamp's Alien 5 and Ridley Scott's Prometheus 2 have been in contention with each other. Both tell the story of the infamous Xenomorphs, but in different places. 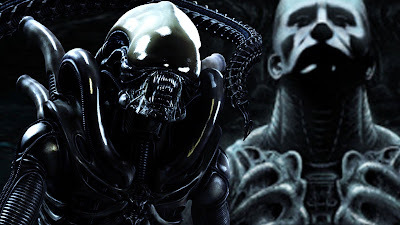 The Prometheus storyline tells of the aliens' creation as a bioweapon, while Alien 5 would continue the story of Ripley (Sigourney Weaver), replacing the events of Alien 3 and Alien: Resurrection. But with both films being developed simultaneously, there has been friction between the projects. Though he has just come out with naming his film Alien: Paradise Lost, Scott has said he wants his film to come first in order to distance it from the Alien franchise. "alien is kinda holding/pending prometheus 2. So I shall be working on other things... as much as I love the xeno- and Lt. ripley"
This is upsetting, because I am more interested in Blomkamp's Alien 5 then Scott's Paradise Lost. Prometheus was good (in my opinion), but it suffered from not being a clear predecessor to Alien. And now Scott is saying that Alien: Paradise Lost (despite its title) will be even further from the franchise. What excited me about Alien 5 was the prospect of seeing the timeline adjusted. Alien 3 and Resurrection were disappointing to say the least, and for Blomkamp to rewrite that and tell a new story with Ripley, Hicks and Newt... it was exciting. That's the story I want told. I think we will eventually get that story, but if Blomkamp is moving on to other projects, then I think the possibility of seeing Alien 5 told in the future with Blomkamp is lessened. What do you think? 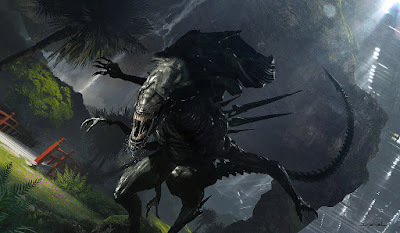 What are your thoughts on Alien 5 being pushed in favor of Alien: Paradise Lost? Which are you looking forward to more? Leave your thoughts in the comments section below.